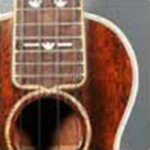 Ukuleles, new, used and vintage. New from LoPrinzi and Ohana. Vintage Martin, Lyon and Healy, Washburn, many others. Repair and restoration.